The South Sudan situation is Africa’s largest displacement crisis today. With the conflict in South Sudan now entering its fourth year, its people are facing dire humanitarian challenges. 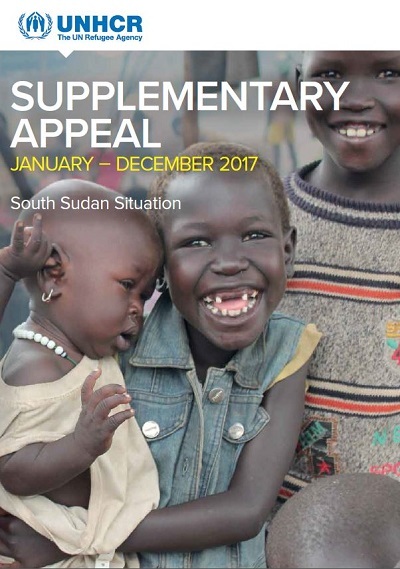 By the end of October 2016, more than 1.2 million South Sudanese had fled as refugees to CAR, DRC, Ethiopia, Kenya, Sudan and Uganda, while within the country almost 1.8 million people had become internally displaced and 6.1 million were estimated to be in need of urgent humanitarian assistance. Disease, protracted instability, the escalation of violence, and wide-spread destruction have triggered unprecedented levels of food insecurity. More than 4.8 million people, half the population, became severely food insecure due to simply being unable to bring in the harvest. The economic situation continues to worsen with hyper-inflation at record levels of more than 800%. With a paucity of national infrastructure such as roads or viable airfields, as well as the long rainy season of up to eight months per year, South Sudan is one of the most logistically challenging countries in the world in which to operate, and thus in which to bring assistance to those in need. An Agreement on the Resolution of the Conflict in the Republic of South Sudan was signed in August 2015 with, after months of delay, the formation in April 2016 of the Transitional Government of National Unity (TGoNU). Despite the Agreement, localized conflicts continued, and humanitarian access and delivery remained an enormous challenge in many locations. Less than three months after the formation of the TGoNU, the humanitarian situation deteriorated drastically when fresh fighting erupted in the capital, Juba, on 8 July 2016. Fighting, rampant looting and human rights abuses reportedly caused the deaths of over 300 people, led to the displacement of thousands of civilians, and to the incremental spread of the conflict across Greater Equatoria State and beyond. A ceasefire was called on 11 July, and United Nations Security Council Resolution 2304, adopted on 12 August 2016, authorized inter alia, the deployment of Regional Protection Forces in the country, as additional support to the existing United Nations Mission in South Sudan (UNMISS). On 16 December 2016, UNMISS’s mandate was extended to 15 December 2017 under Security Council Resolution 2327. This included an authorisation to use “all necessary means” to protect civilians under threat of physical violence, bringing the number of peacekeepers to 17,000, including a 4,000 strong Regional Protection Force, and increasing the number of international police to 2,101. The escalation of the crises triggered an unanticipated surge in the refugee outflows. More than 360,000 people fled the country in the four months following July 2016, 70 per cent of whom have fled to Uganda. Large numbers have also fled to the Democratic Republic of Congo (DRC), Sudan (where beneficiaries quickly exceeded 2016 planning figures) to Central African Republic (CAR), and later in September, to Ethiopia. With regional displacement figures from South Sudan in the first half of 2016 much higher than original projections even prior to the upheavals in July, both the 2016 Regional Refugee Response Plan (RRRP) and the UNHCR Supplementary Budget for the South Sudan Situation had to be revised in July 2016, including chapters for DRC and CAR for the first time. Less than a month after that initial revision, Uganda’s country chapter had to be revised again to meet further urgent requirements, such as the opening of a new settlement in Bidibidi, Yumbe District, with capacity for 100,000 people. This had become vital in order to decongest transit and reception centres and thereby reduce the risk of the spread of diseases.